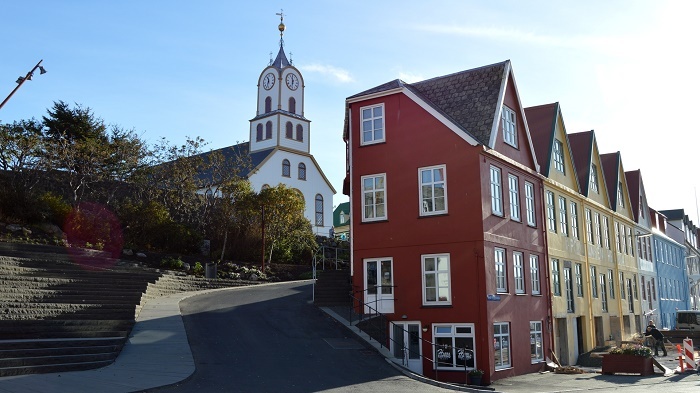 Tórshavn Cathedral is a small and very picturesque church that is located in the capital and largest town of Tórshavn, of the autonomous country within the Kingdom of Denmark, the Faroe Islands. 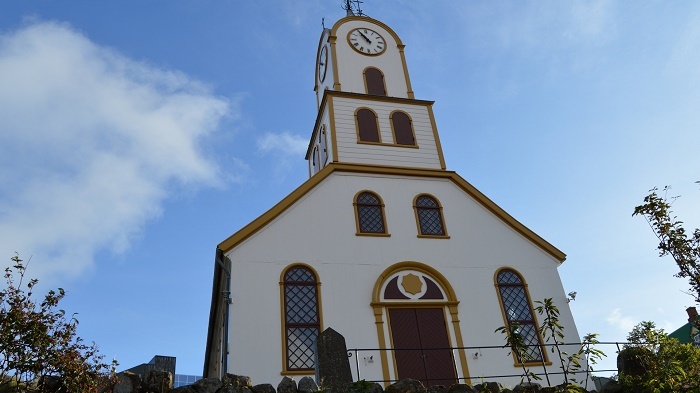 As it is located right next to the historic peninsula Tinganes, this white painted church was established in 1788, and it is considered to be the second oldest received church of the Faroe Islands that follows the Evangelical-Lutheran Christianity. 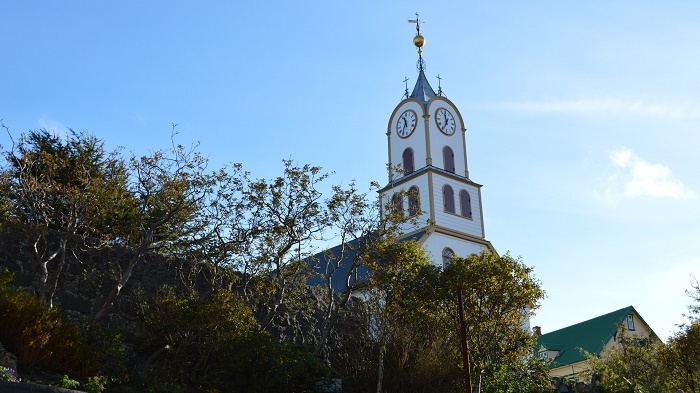 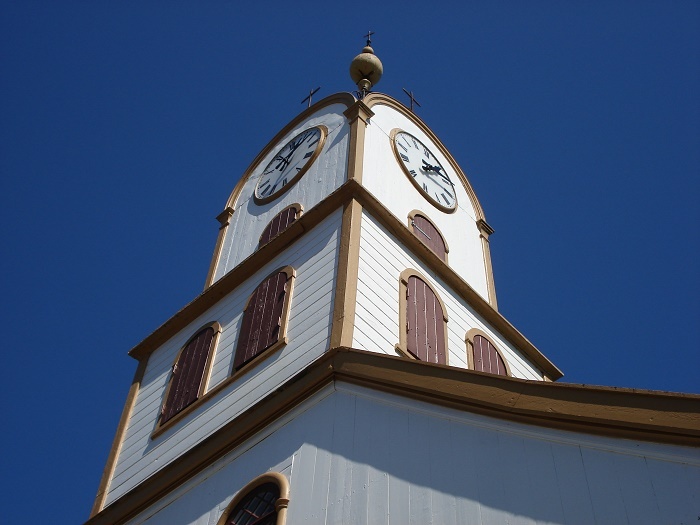 The attractive white building with clock tower, has been the seat of the bishop of the Faroese since 1990, and therefore it is known nowadays to be a cathedral. 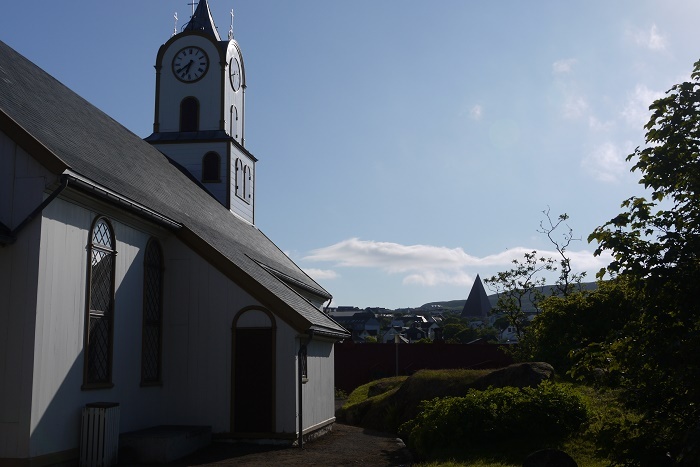 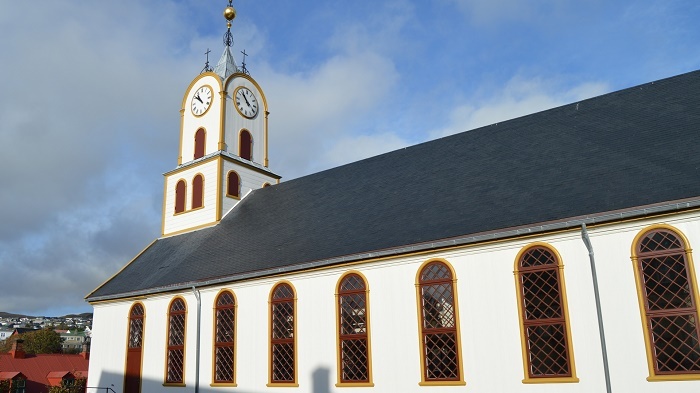 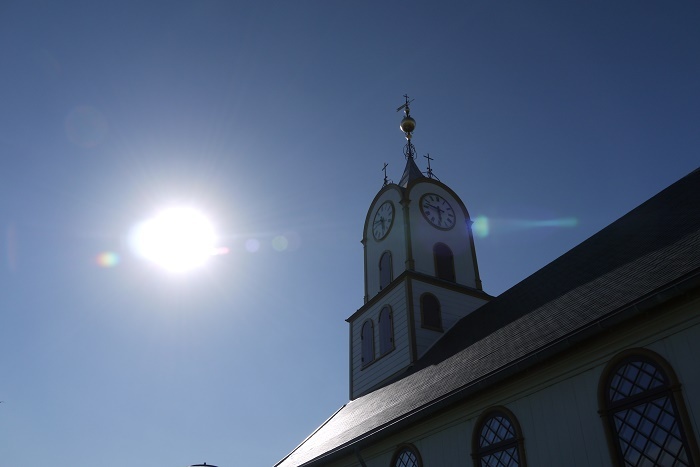 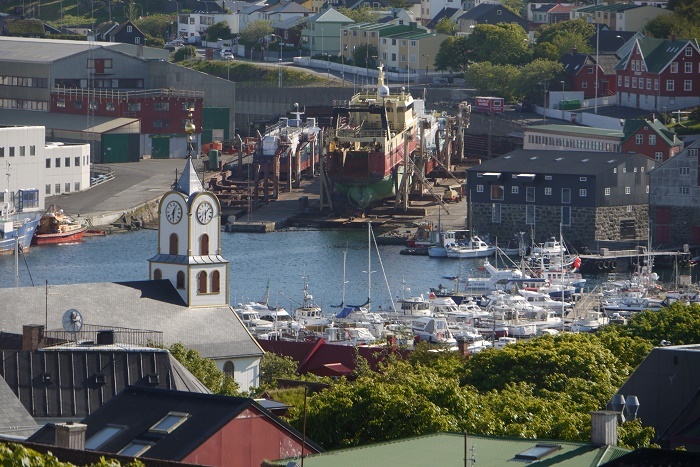 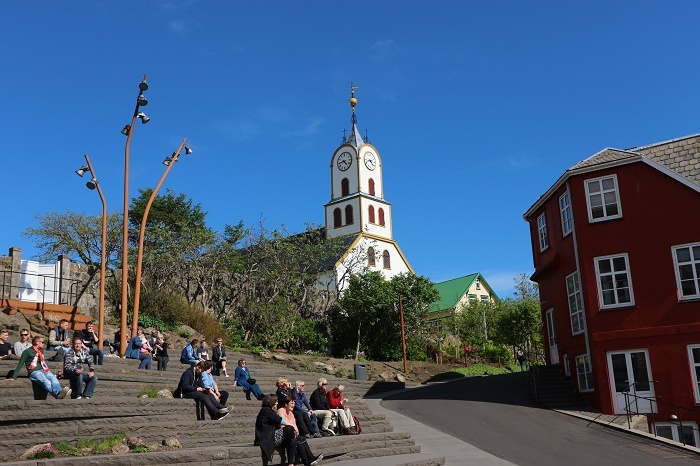 Throughout the history, the place where the Tórshavn Cathedral is standing today, has seen different and complicated historical structures, where in the Middle Ages there might have been only a “prayer house”, while in 1609 it was built a proper church known as “úti á Reyni”. 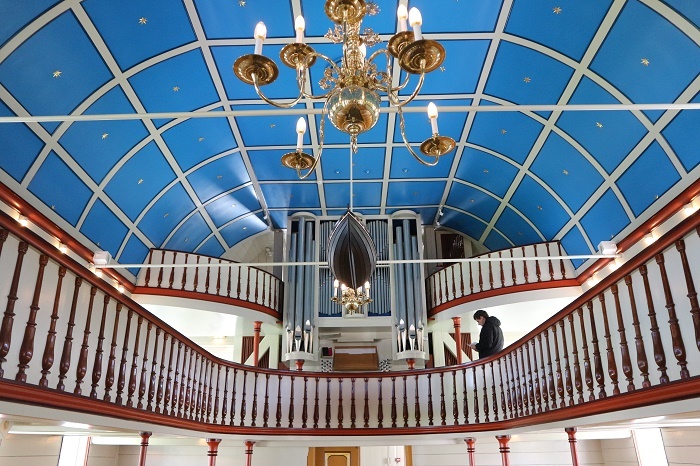 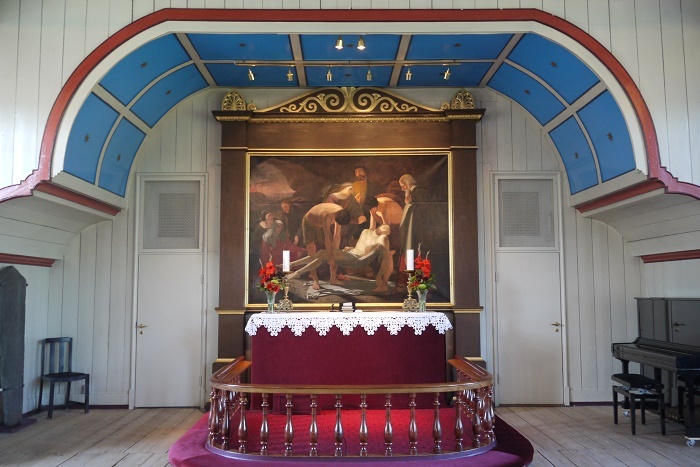 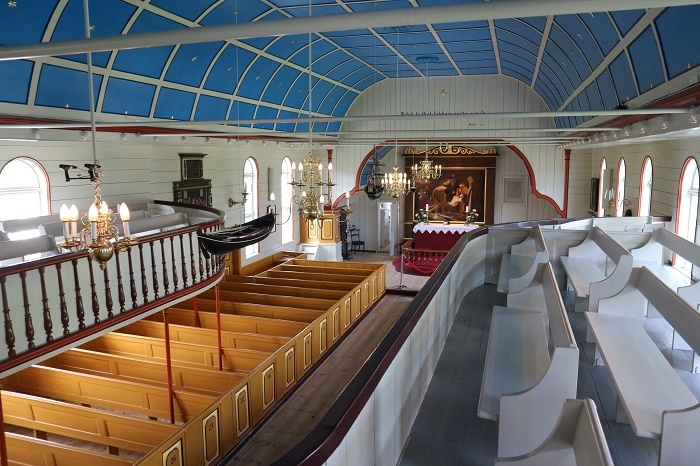 At that time, King Christian IV directed the Lord Lieutenant at Bergenshus to bring some timber wood to the people of the islands in order to construct their church and to have a place of worship, something that happened in 1788. 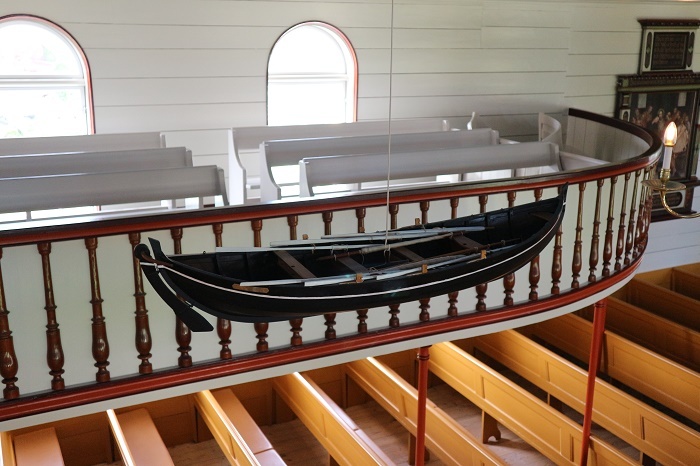 Later in 1798, that church was demolished following the consecration of a new church, while the timber of the old structure was sold at an auction, and part of the furniture was transferred to the new one. 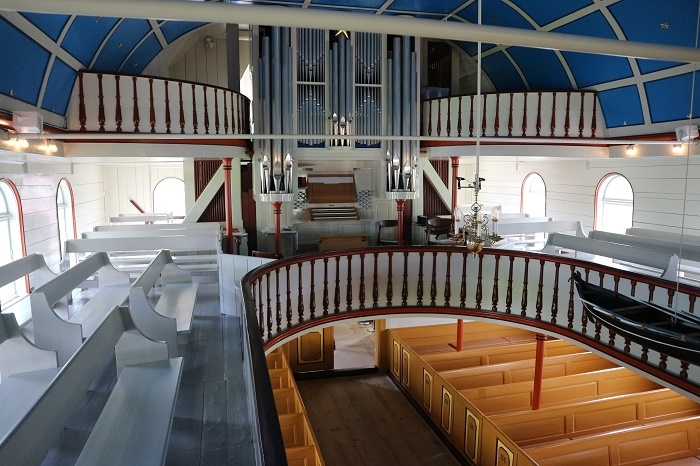 Nowadays, even though the present church has a completely different appearance from the past structures, the rebuilding in 1865 seems in fact to have only marginally affected the structural parts of the 1788 church, and still today the nave itself contains 44 benches, while the gallery only 14. 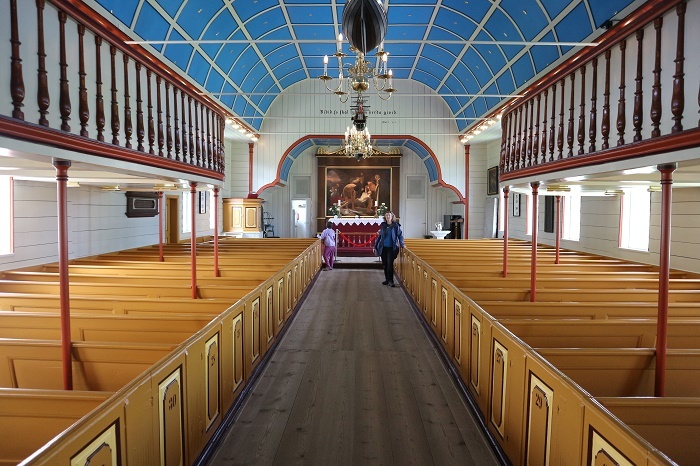 The bell itself is a true historic piece, decorated with palmettes and bears the inscription: “Danscke Ostindische Compagnies Scheb Nordische Löwe”, or as the translation would be “The Danish East India Company’s ship “Nordische Löwe”, and it definitely originates from the ship “Norske Löve”, which went down in Lambavík on New Year’s Eve, 1707. 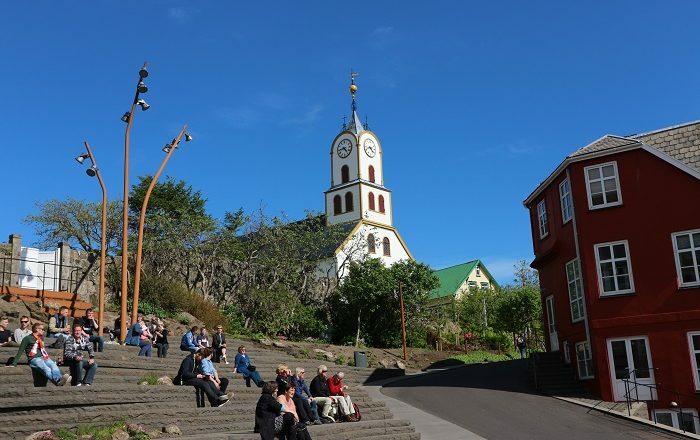 Even though it is not well known worldwide, it is considered to be one of the greatest historic monuments of the island nation which is definitely worth seeing in person.